Reports reaching DAILY GUIDE indicate that the Yendi Hospital in the Northern Region risks closure over shortage of water at the facility. Investigations conducted revealed that the hospital buys water five times daily from tanker drivers. The hospital pays GH¢750 daily for water supply because a tanker of water is sold at GH¢50 to the facility. A staff who spoke to DAILY GUIDE on condition of anonymity said the situation is a very big challenge to the hospital because they spend a lot on buying water. A visit to the Yendi Hospital by the paper revealed that family members of patients on admission at the facility carry water from their various homes to the hospital for their patients. In recent times, the Yendi Municipality has been hit with water shortage in the area, thereby, affecting business activities of residents. The only source of water in the area which is the Dakar dam is slowly drying up day in day out, hence creating panic among residents. 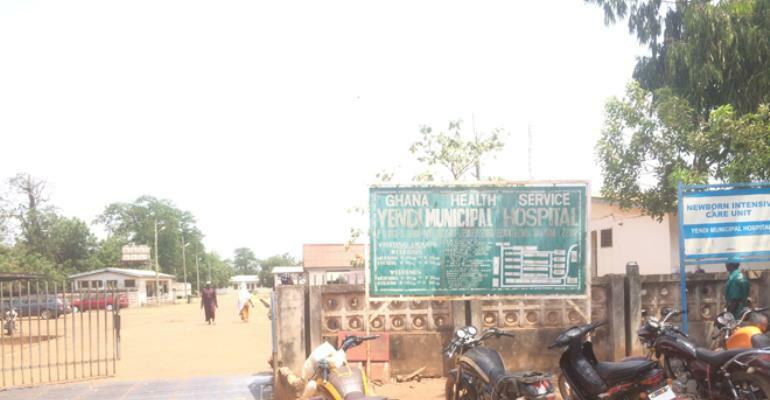 The Yendi Hospital Public Relations Officer (PRO), Alhassan Wemah, told DAILY GUIDE that the hospital is a referral point for 12 districts in the Eastern Corridor and “so the water situation is worrying”. According to him, the facility uses water more than any other thing simply because the entire department at the hospital demands water. Mr Wemah disclosed that some relatives of patients who do not come from Yendi normally use water at the facility to bathe and wash the clothing of their relatives on admission. He said even though Tamale Teaching Hospital is a referral point, Yendi Hospital receives more referral cases because of the number of district surrounding it. The PRO appealed to the authorities in charge of the water situation to, as a matter of urgency, speed up the process to find a lasting solution to the problem in Yendi.